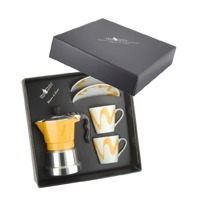 With a pair of matching cups and saucers, the Top Moka Pot Large Double Shot Queen of Hearts Gift Set has everything you need to make great Italian coffee! 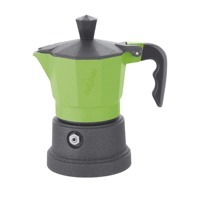 Just add your favorite ground beans to the Moka Pot and enjoy! Finally! 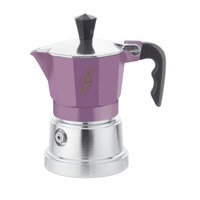 Top Moka has created an elegant stovetop espresso maker that can satisfy your entire family with cup after cup of rich Italian coffee! 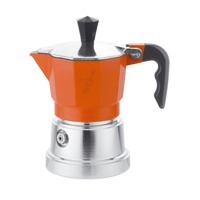 The Top Moka Pot Large Six Shot Silver (Induction Hob) is made from durable Titanium Alloy for years of trouble-free use. 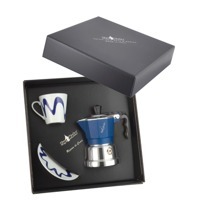 The Top Moka Pot Small Single Shot Queen of Hearts Gift Set will surprise and delight your special someone with rich, espresso-like coffee steam-brewed in the traditional Italian manner. Steam, savor and enjoy! 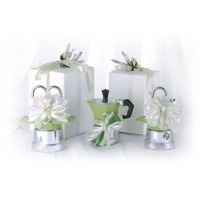 Available as a special order, Top Moka will customize your favorite Italian espresso maker with personalized Laser engravings to commemorate any special occasion. Record anything you like including the date, special symbols, names or even company logos. Gift wrapping is included.